The opportunities to use the Cloud are countless and SMEs are, of course, using services that meet their individual needs. This will differ by sector – a manufacturing company will have different computing needs to a marketing agency for example. However, there are many commonalities to doing business no matter where your business focus lies. Unsurprisingly, it is in these areas the uptake of Cloud-based computing has been highest. Core services such as productivity applications most notably Microsoft Office 365, collaboration Services and data storage enables businesses to save time and money. Cloud-based email, website management and social media management tools are also commonly used by SMEs. More specialised services such as customer relationship management (CRM), HR and accountancy applications are less prevalent at present. However, growing steadily in popularity. Though many organisations identify a need for these, only a minority have started to use them. It is possible overall Cloud-based usage is understated as many businesses may be using Cloud computing tools without even realising it. Also, with such rapid growth in the market, demand is changing all the time. If your business hasn’t already taken the plunge, maybe now is the time to at least be considering it. If you aren’t a technology professional, then it’s likely you won’t be aware of the changes the industry’s biggest brands are making to their services to take advantage of the Cloud. Productivity software – For a small business it’s possible to run your main business functions in the Cloud. Your core productivity software such as email and Microsoft Office have Cloud computing counterparts branded Office 365. If you run a creative business, Adobe Creative Cloud offers their software from the Cloud. Storage solutions – Buying a server is a big capital investment for a small company, but Cloud storage is now a viable alternative. Small companies can access services such as Microsoft’s OneDrive. Both solutions have an enterprise level product for larger companies. Accountancy services – Accountancy software providers have been quick to offer services for the Cloud. Small companies can buy Sage on subscription. For mid-sized companies they offer Sage 200 Extra Online. Consider Xero if you are a small business, and Pegasus Business Cloud if you have more complex needs. Marketing software – There’s a wide range of powerful software and applications that help the Marketer. Of particular note is CRM software such as Microsoft Dynamics that helps companies manage their client and prospect interaction and relationships to develop existing business and win new business. Bespoke applications – Microsoft Azure provides the platform to develop and deploy bespoke Cloud-based applications quickly and at low cost. Using Azure enables smaller businesses to fully leverage the Cloud’s power and create new services that give them a competitive edge. 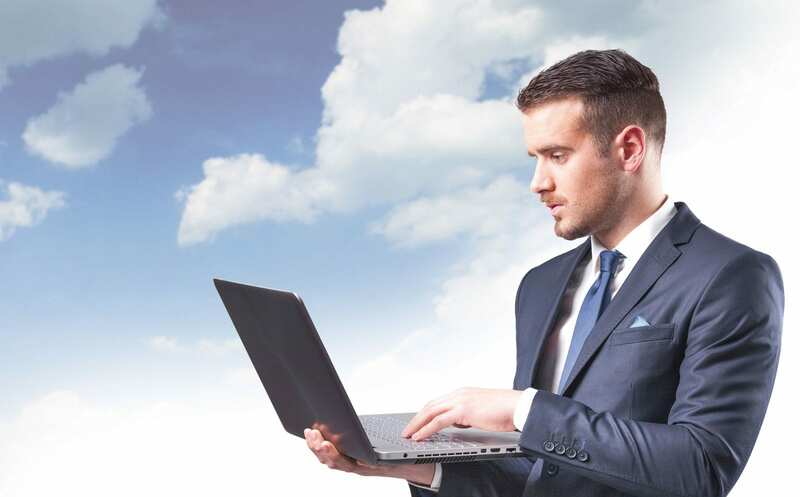 The role of your IT provider will depend on how much Cloud-based computing you are going to do. Also, how complex your business is and its requirements are. They can help you set up Cloud-based services and make sure you have suitable hardware to access them. Also they can ensure the software is compatible with your current services and test them before you roll it out to your team. As any movement into the Cloud is likely to be gradual, it is important you receive help integrating the new services with your other business processes, which are not currently in the Cloud. Ultimately, your organisation could transition totally to a Cloud environment. Delivering many significant business benefits from lower costs and easier scalability to complete mobility and added security. However, there are many options to consider when migrating to the Cloud and so it pays to enlist the expert and experienced support of your IT provider.